July 11: Wyn Cooper Mars Poetica (poems). Cooper’s fifth book of poetry. His poems have been turned into songs by Sheryl Crow, David Broza, and Madison Smartt Bell. Nominated for a Grammy Award, 1995. Hernan Diaz In the Distance (novel). 2018 Pulitzer Prize finalist; 2018 PEN/Faulkner Award Finalist. Publisher’s Weekly Top 10 Book of the Year. July 18: Christopher Benfey IF: The Untold Story of Kipling’s American Years. Benfy has written many wide-ranging books and essays (in the NYRB, NYT, and elsewhere) on themes and authors of the Gilded Age in America. books of short stories, several of which were listed as NYT notable books of the year. Aug 1: Christopher Castellani Leading Men (novel). One of top 10 literary fiction titles for Spring 2019 (PW) “Blazing….casts a spell from the start.” (Dwight Garner, NYT). Peter Orner Maggie Brown & Others (fiction, stories). Orner is the author of two previous novels, two books of short stories, and a book of essays. His books have been finalists for the National Book Critics Circle Prize and for the Los Angeles Time Book Prize; winner of the Goldberg Prize for Jewish fiction; finalist for the PEN Hemingway Prize. July 6: Cynthia Huntington: Terra Nova (poems); author of five books of poetry; previous collection, Heavenly Bodies, was a finalist for the National Book Award for poetry. Rick Moody: Hotels of North America (fiction); author of seven novels, including the national bestseller, The Ice Storm; in 1999 New Yorker Magazine chose him as one of the “20 Writers for the 21st Century”. July 13: James Wright: Enduring Vietnam: An American Generation and Its War; President of Dartmouth for 11 years, Wright has become a leading spokesman for veterans rights and benefits. Megan Abbott: You Will Know Me (fiction); chosen as one of the best mystery books of 2016 by NPR, Washington Post, Publishers Weekly, Kirkus Reviews. July 20: April Ossmann: Event Boundaries (poems); her second book of poems. Victoria Redel: Before Everything (fiction); author of five novels and four books of poetry; winner of numerous literary awards. July 27: Major Jackson: Roll Deep (poems); author of four books of poetry; finalist for the National Book Critics Circle award for poetry; poetry editor Harvard Review. Alexander Chee: Queen of the Night (fiction); NYTBR editors choice; chosen a best book for the year by NPR, Boston Globe, SF Chronicle. 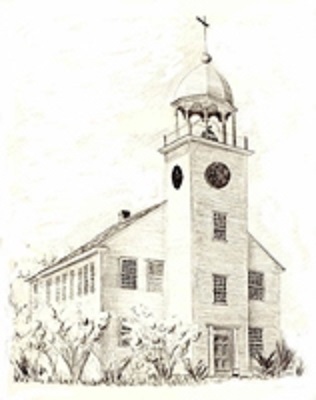 All readings start at 7:30 pm at the Meetinghouse, Canaan Street, Canaan, NH. The Norwich Bookstore will sell current and past books by each author at the Meetinghouse. (Many of the books can be purchased at the bookstore in advance, and can be signed by the authors in July). 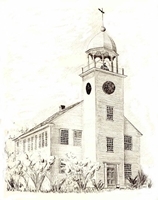 All readings start at 7:30 at the Meetinghouse, Canaan Street, Canaan, NH. Free Admission. Please, no infants, toddlers, or squirmers. We are happy to announce that our 2014 schedule is ready and we hope you can join us!